In the past when I claimed that the Google Maps insertion in organic search results wasn't more organic search but rather a Google promotion, I was met with skepticism by some, who argued that Google Maps was just another flavor of organic search and visitors would still be able to go to the end ranked website. If you search for something on Google and click on one of the end URLs you can still visit them, but Google made one step in the opposite direction today. If you click on the map now the Google Maps section lists a bunch of places on the maps, rather than giving you the URLs. You then have to click onto one of the locations to see it on the map and open a pop up area which contains information including the URL. More clicks to do the same thing. How long until Google replaces the URL listings in the search results with links to locations on the Google Maps or links to Google Places pages? It is the next obvious step in this transition. Jamie Davidson, a YouTube product manager, says that the 15 minutes of daily viewing by a user typically involves six videos, with the conclusion of each presenting "a decision point, and every decision point is an opportunity to leave. We’re looking at how to push users into passive-consumption mode, a lean-back experience." Aaron, I'm always pleased to see someone of your experience and gravitas paying attention to Local! I have a couple of viewpoints that I thought I would contribute to the discussion. But, one of the reasons that I think Google introduced the 10-pack/7-pack is because they knew the IYPs were always going to outrank SMBs because of better SEO, more link juice, etc. They didn't like sending users from one set of search results to another page of search results. They wanted to show them REAL BUSINESSES as fast as possible. Because IYPs are forbidden from the 7-packs (they don't have physical locations) this has accomplished that goal. But I don't think they actively want to send users from Google Universal search to Google Maps search...it's an unnecessary click. Coincidentally, this strategy also forces the IYPs, who have much deeper pockets than the average SMB, and are easier to engage with, into PPC to get above the fold--so I don't think it was an entirely altruistic move. 2) The flip-side of that point about why I think G introduced the 7-pack is that a lot of SMB websites are REALLY crappy. They're HTML from 1998, or all Flash, or just generally poorly-designed. The Place Page is actually a better user experience than probably 3/4 of all SMB websites. And especially on a mobile device, which is quickly intersecting with Local. So although they are not currently devouring the 2nd click from the 7-pack, I wouldn't be surprised if that eventually happens, as you speculate. I don't have any inside information from anyone at Google or anything like that--just my opinions after following the space as long as I have. Thanks again for writing such a thought-provoking post. You are correct, a lot of them do have crappy sites. I have even noticed some larger businesses that simply have such bad usability that finding hours of operation is a chore. I actually prefer to check the Google Local listing because it is easier to read. "this strategy also forces the IYPs, who have much deeper pockets than the average SMB, and are easier to engage with, into PPC to get above the fold"
And I like your take on why G introduced the 7 pack David. I think Aaron's point about them wanting to keep you on Google longer is where we are going to see them go in the next couple years, across the board. I was looking at some local businesses the other day and found that many of them were already defeated in the SERPs by Yelp and the like. My first thought as an SEO is "How Horrible" but given that these people are running a brick and mortar shop, it might be that the Yelp page for this business is a better home page than their own home page. For instance, in one case, the Yelp page is filled with glowing reviews of the store that speak more strongly for the store than anything the owners could possibly say. This is obviously VERY BAD NEWS for Yelp, but for local businesses for which the web is not a critical part of their sales funnel, it doesn't make a lot of difference. I'm always pleased to see someone of your experience and gravitas paying attention to Local! But I don't think they actively want to send users from Google Universal search to Google Maps search...it's an unnecessary click. them wanting to keep you on Google longer is where we are going to see them go in the next couple years, across the board. Yup. And this datapoint is reflected by their push into television ads, their push into mobile app ads, and by their quarterly announcement investor call earlier this year - where they mentioned that display ads was their next huge area of growth. Time on site is something brand ad buyers like...and a search which sends you away right away is sorta the complete opposite of that. And every new pageview is another chance at an ad click. But I think this is part of the big problem. If businesses are too lazy to spend the time to understand the marketplace and differentiate then it is quite easy for Google to police their profits and/or direct that business to another lesser business which is willing to give Google a cut of the action. You either own your domain and control your business flow, or you make yourself arbitrarily tied into a supplier of business who can put the screws to you whenever they feel like it. Ads on profile pages might be somewhat tame, but if in 3 years or 5 years Google has the default local position (the way they do in video hosting, maps, web analytics, search, etc.) then you will see far more aggressive and far more parasitic behavior from Google. Google is a media company. And every bit of media they can host is for sale to the highest bidder, 1 click or 1 view at a time. Who is the real loser if Google dominates another market? Likely first consumers and then later advertisers (plus those who are not using an ad budget with Google and who are having their profile advertised against). The behavior you are seeing inside Maps has always been like that, or at least as far as I can remember. Clicking the business title creates the pop-up bubble on the map. What has changed is they no longer show the display URL in green font in the results on the side. 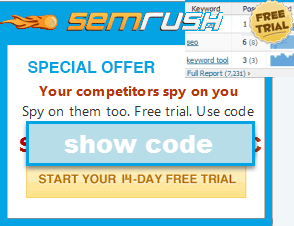 It was only ever the results in the 7pack within universal results that would take the user direct to the businesses website when you click on their title link. And that still acts that way. Google Maps does not drive a lot of traffic. By that I mean Google Maps itself at maps.google.com. 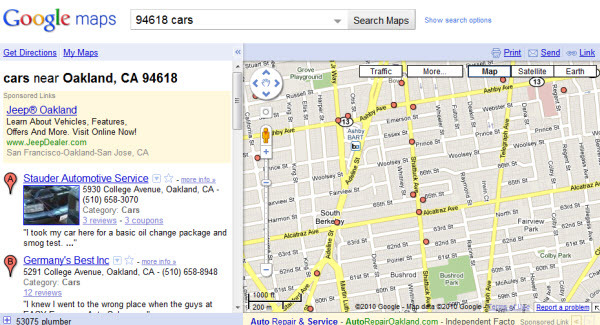 The vast majority of users are using maps via the 7pack in the universal results at www.google.com. Few click the more results link to enter into maps.google.com and few go to Maps first and then conduct a search. You can see this in analytics data for a local business website as well as see it in impression data for Adwords campaigns set to show only in map results (volume is far lower but conversions are higher on those ads - pro tip). David is right in that there are many many small businesses with crappy websites, as well as many with no site. But for those that do have a decent site it is incredibly important to drive those clicks to the website. That is where many of the conversions really happen. Now that varies greatly by industry and searcher intent relative to that industry. A person seeking a plumber is often in an emergency situation and needs a plumber NOW. The do their search in google and then start dialing the phone numbers of the top 7 results shown. First plumber that answers the phone gets the lead. They rarely bother to click links to go to a plumbers website, nor do they click the more info links to view the Places page. They also ignore organic results below the map, they just want to start dialing phone numbers. On the other hand, a landscaping contractor sees a very different pattern. People are doing more research before plunking down thousands, or tens of thousands, of dollars for a new deck or fence and some sod, plants and maybe a stone retaining wall. They want to visit the websites to view photos and see what sets of services the landscaper offers. Here they are clicking the results in the 7pack to go to the site AND they still heavily rely on the organic listings below that map. Other types of local business fall somewhere between those two extremes. That all said, Google would certainly want to keep more users inside those Places pages where they have another opportunity to click an ad. The addition of the "nearby places you may like" is obvious of that. The continual addition of more features to enrichen the Place pages shows to me they want those pages to become the real destination, over that of the businesses own website. Imagine what would happen if the robots.txt directive were removed from Places and all those pages started showing in organic results. Or if the title links in the 7pack results went from taking a user to the business website to taking them to the Places page. eek!